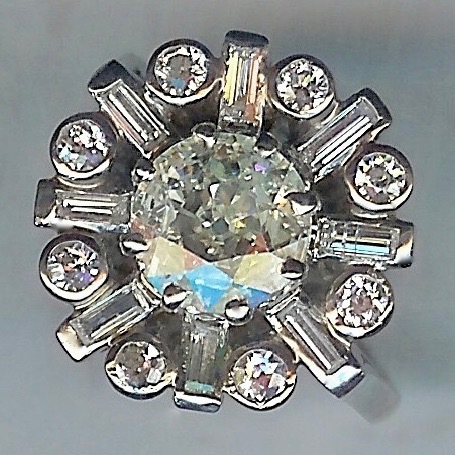 Sensational Deco Diamond Cluster Ring, Approx. 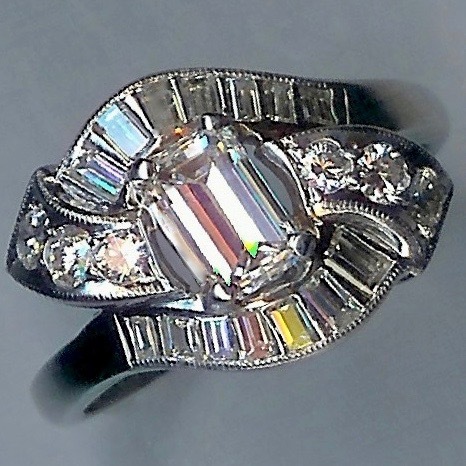 1.17cts Centre [SH8337] : loveVintageDiamonds.com, Your Vintage Diamond Dreams Come True! 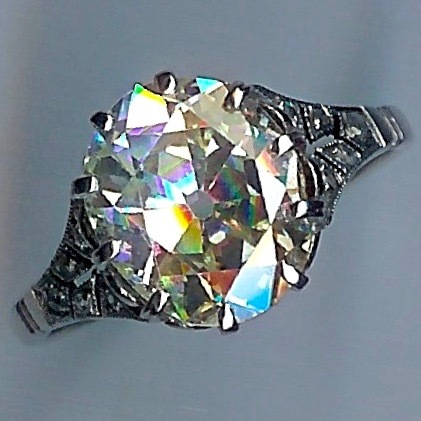 This is an absolutely sensational diamond cluster ring. 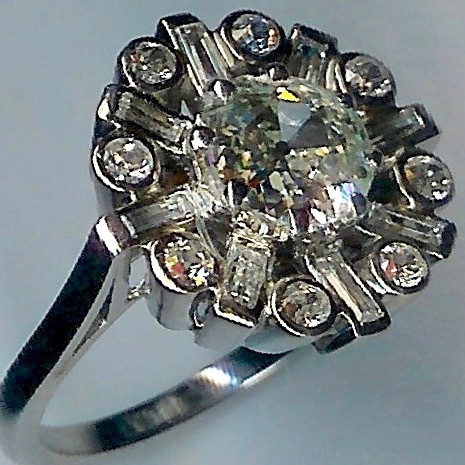 The centre diamond is a beautiful old rose-cut stone and weighs approx. 1.17cts. It is set into an eight-claw setting. There is a 'sunburst' of diamonds surrounding the centre stone, eight baguette-cuts, all in end-capped settings, and eight further rose-cuts, all collet-set. These additional stones total approx. 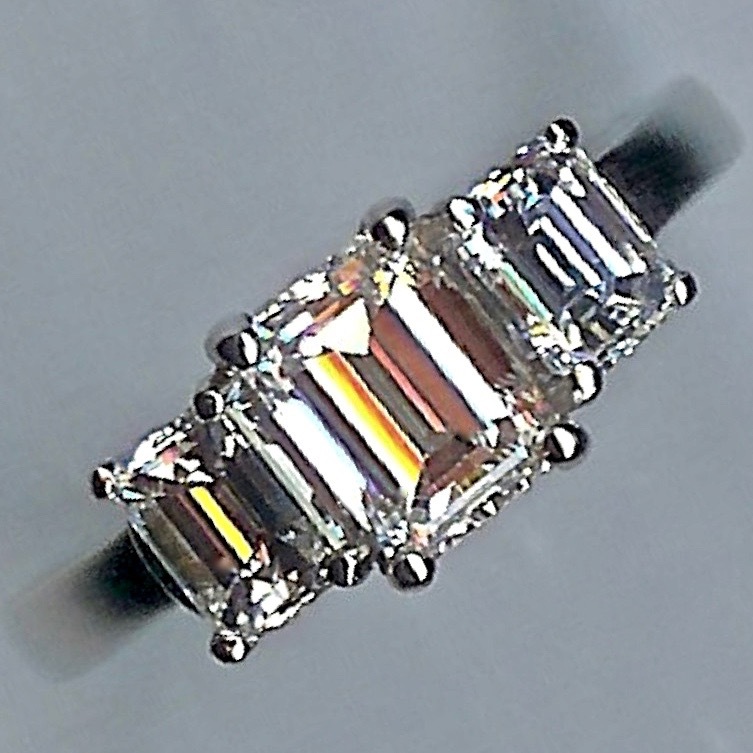 0.80cts in weight, meaning that the total weight of diamonds in the ring is approx.1.97cts. 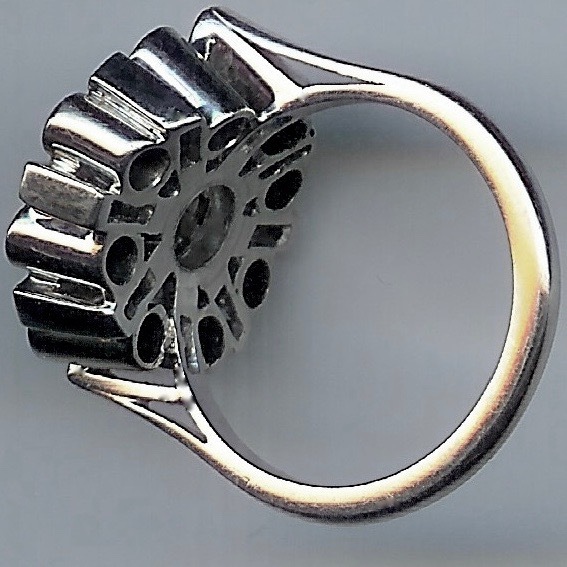 The crown of the ring measures approx. 17mm in diameter. 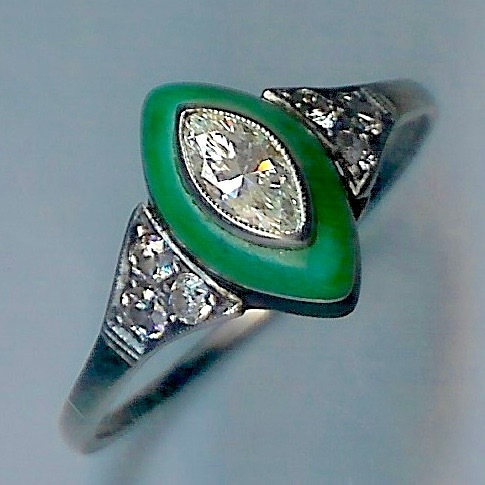 The ring is white throughout, marked 'PLAT', and tests as platinum. Overall weight of the ring is approx. 8.8gms. Currently fits finger size 'K'/2' (UK).